Since the mid-2000s, shotcrete usage in underground construction has soared. In some cases, contractors can install it more quickly and efficiently than traditional cast-in-place concrete systems. Project teams have supported adoption of the technology based on what has been described as a meaningful schedule acceleration of the time typically required to complete a foundation. For large-scale projects, the shorter schedule can translate into millions of dollars through accelerated occupancy and timely project completion. 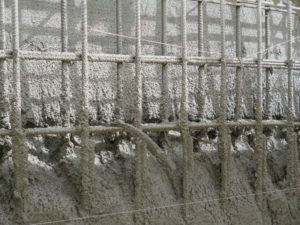 Enabling this surge in shotcrete use are advancements in waterproofing systems designed specifically for the material. Below-grade construction with cast-in-place concrete requires installing forms in the excavation, pouring concrete, waiting for it to cure, and finally, removing all the forms. Shotcrete application is typically faster because it can be done quickly by qualified nozzlemen without the need for concrete formwork. However, it does come with its own set of risks. For example, shotcrete use can lead to voids in concrete walls and behind rebar. These problems, in turn, may allow water to migrate around and into a structure should the waterproofing system fail. Water migration can derail timely project completion at great cost, while exposing the structure to leaks and flooding over its useful life. 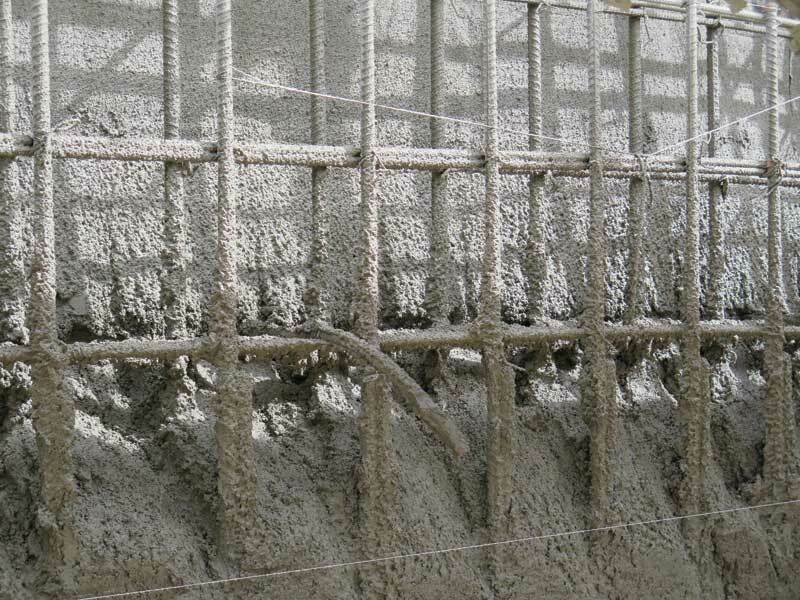 Also, the force of shotcrete spray can damage waterproofing membranes, as can the impact of adjacent building construction and flaws introduced by rebar, electrical, or plumbing contractors. 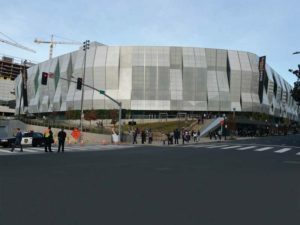 One solution to these deficiencies is use of an effective shotcrete waterproofing system comprised of a composite membrane, grout-injection tubes, and specially formulated grout. 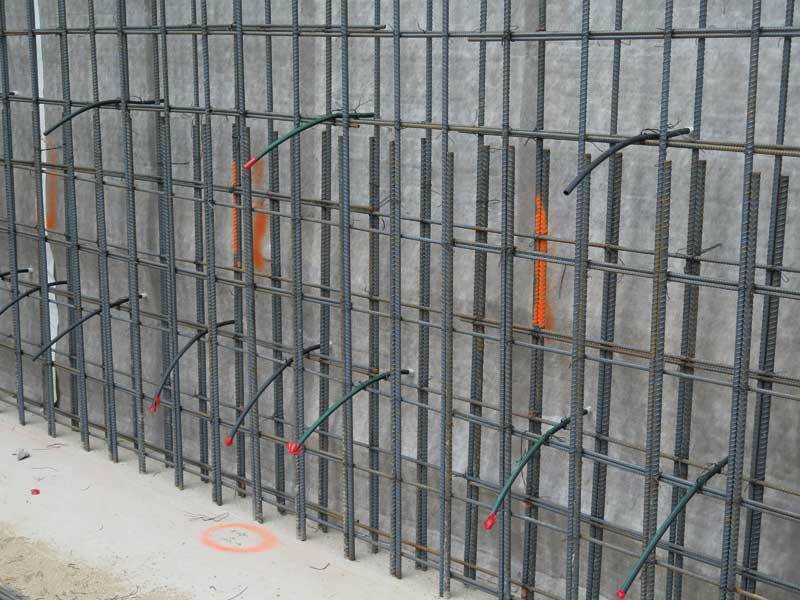 The tough composite membrane can stand up to the force and application of shotcrete. 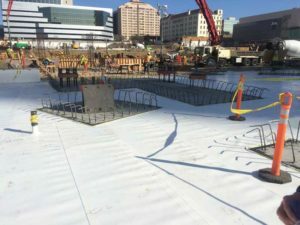 It is composed of a polymer mesh-reinforced cavity backed by a plastic film, and faced with a non-woven, permeable geotextile acting as a shotcrete barrier. The plastic film is placed toward the soil retention system. The reinforced cavity between these two layers allows for injection of hydrophilic grout. 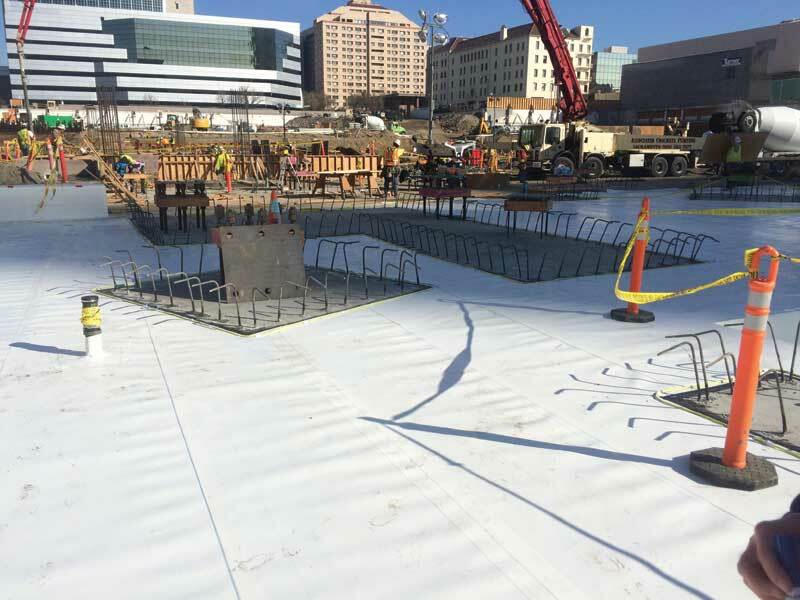 In the first step of the application process, the contractor attaches the membrane to the soil retention wall—typically a combination of piles and lagging. 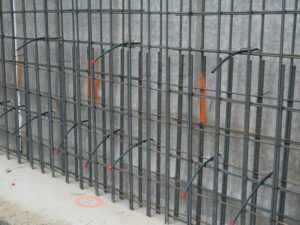 Before applying the shotcrete, the contractor fastens a spaced matrix of injection tubes onto the geotextile of the membrane and attaches them to the shotcrete rebar reinforcement. Grout is injected through the tubes after the shotcrete wall has cured. This can be one to two months after the construction of the wall and is a process that can be completed as construction on the project moves beyond the foundation (allowing for schedule acceleration). The system uses a series of confirmation ports to ensure grout flow is consistent and complete. Using a combination of these ports and known consumption rates, applicators can determine the appropriate grout volume and coverage. This two-step method stops leaks before they happen, ensuring construction stays on schedule and liabilities are minimized. The waterproofing solution shields the structure from water infiltration throughout the design life of the project. Combining pre-applied membrane technology with injection of leak-sealing materials results in a fully integrated waterproofing system. With this type of technology at their disposal, engineers and general contractors are increasingly turning to shotcrete to accelerate high-profile, high-risk projects. Shotcrete could be used almost anywhere, however, it has traditionally been difficult to successfully waterproof. This type of two-step waterproofing can be used along with shotcrete in any blind-side waterproofing application. Shotcrete is a good choice when it allows for rapid schedule acceleration or on tight-layout projects where avoiding formwork is particularly advantageous.